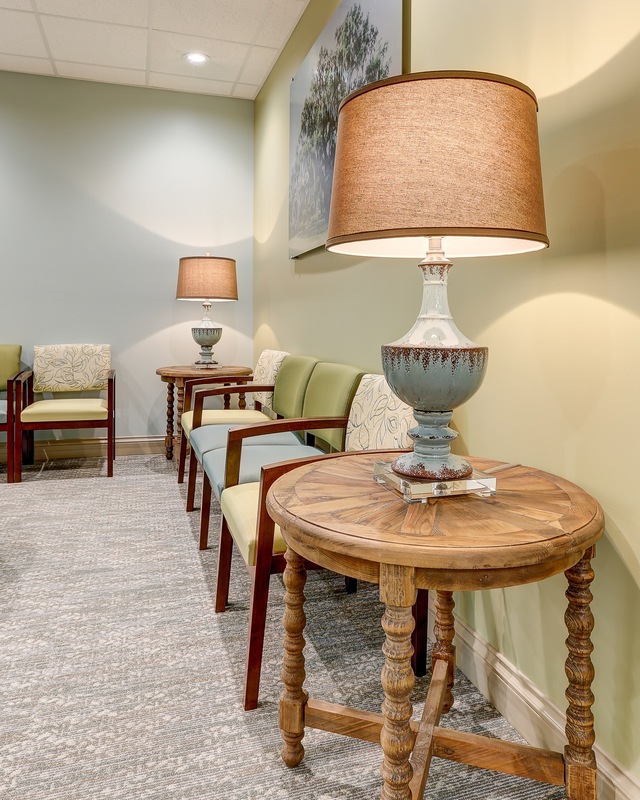 The client wanted the space to be relaxing with an earthy scheme, but as a medical office it still need to be clean and well read by patients. 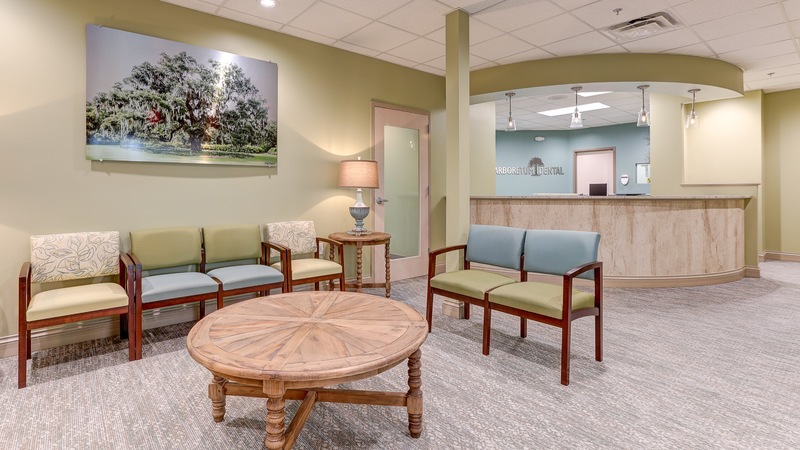 We utilized organically-derived finishes, specifically focusing on the Airlie oak tree featured in the waiting area artwork. 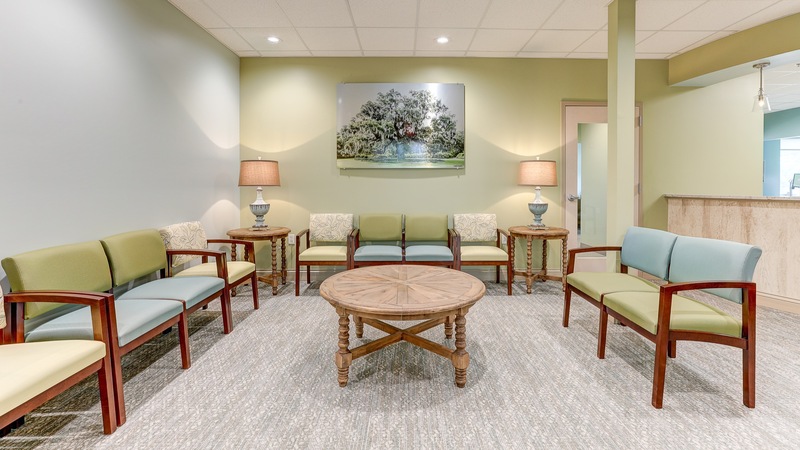 The client found the tree photograph from a local artist, who was also a patient, and she knew this would be the design catalyst for her new space. Textural wallcovering on the reception desk adds a wood-like element that reiterates the organic design concept. The soft blue and green color palette makes reference to the surrounding coastal area and again nods to the organic theme. 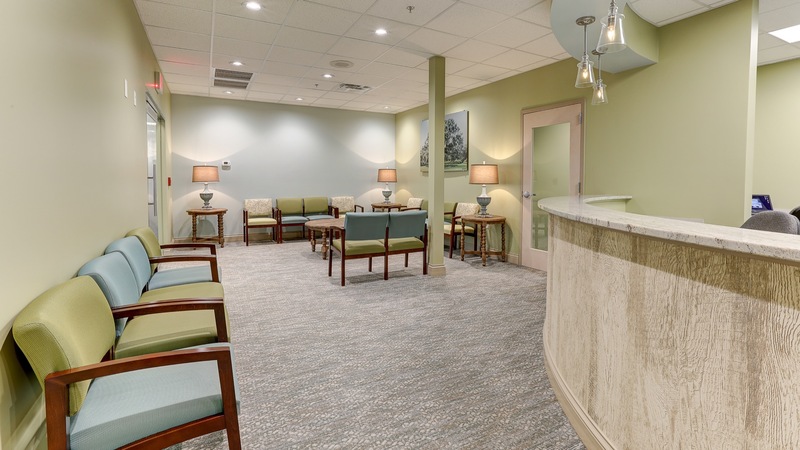 We needed an airy, open concept space that felt inviting to patients, but privacy and well-defined areas were still a priority for functionality. 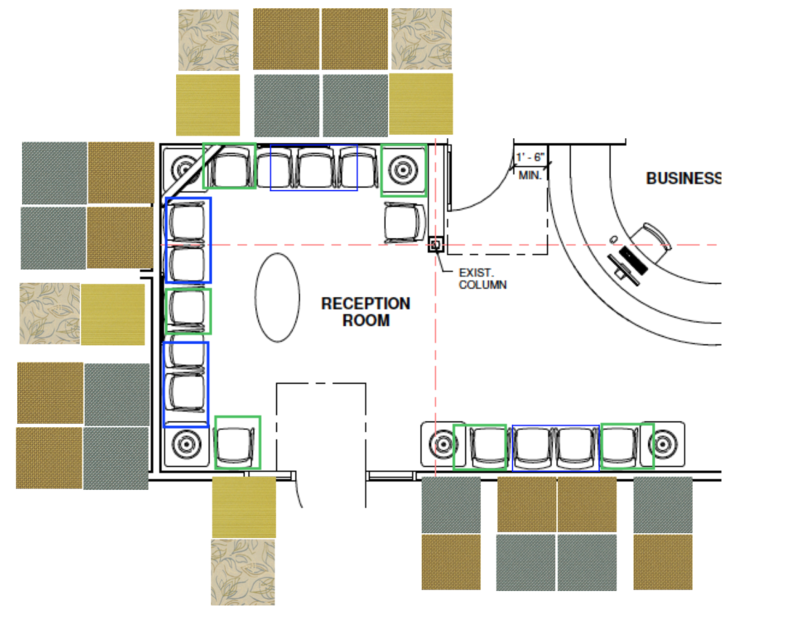 The corner window brings in natural light and was a must for the client; the operatories all have large windows that bring in natural light for warmth to the space and comfort for the patient. 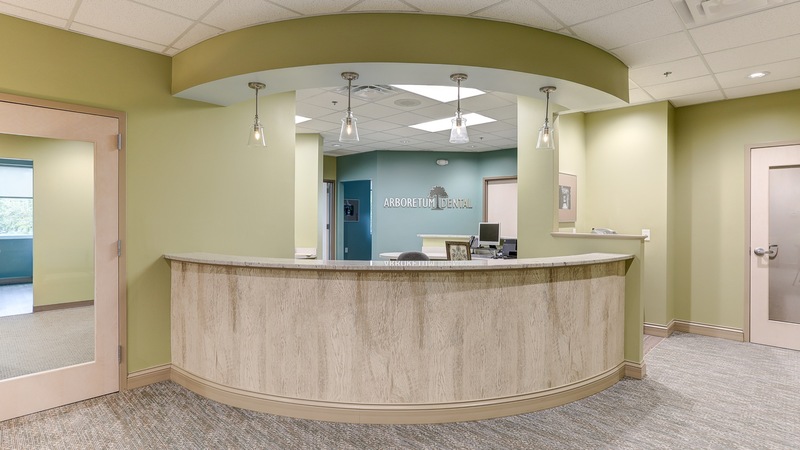 This project was featured in the July/August 2017 issue of Wilmington Magazine, titled "The Offices a Airlie;" find the article on our press page. 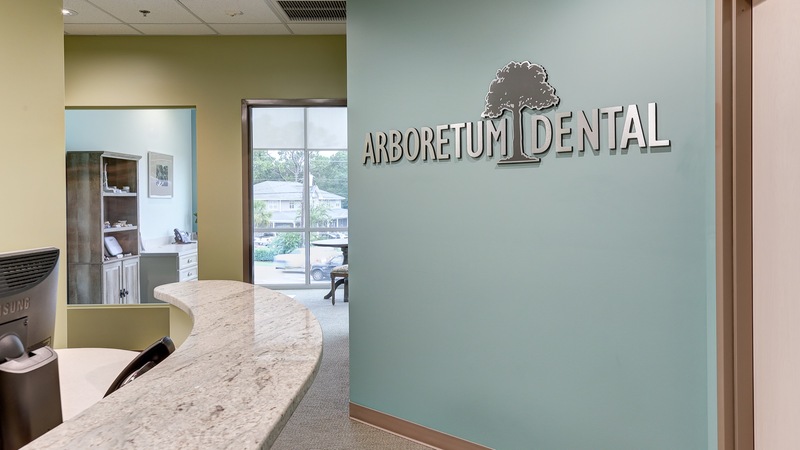 Textural wallcovering on the reception desk adds a wood-like element that reiterates the organic design concept.